In 1981 we set out to outfit a new generation of explorers and adventurers with a new kind of fleece. Little did we know we weren’t just changing expectations, we were changing the world with what Time Magazine would call one of the great inventions of the 20th century. Our landmark fabric breathed new life into an industry and set the precedent for how Polartec would evolve as a brand. From our factory in Lawrence, Massachusetts, we continue to pioneer leading fabric technologies – category defining fabrics – used in the most challenging environments around the globe. 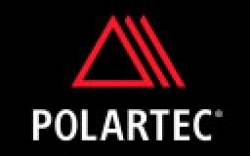 Today, Polartec is the global leader in performance fabric technologies for all conditions. By continuing to provide solutions to seemingly impossible problems, we collaborate with the world’s leading brands to invent what doesn’t yet exist. We challenge the status-quo of the industry at every layer, turning shortcomings into new solutions.